We constantly update mExpense with both improvements to our existing features and introduction of new features. With these latest updates, we have succeeded in maintaining the simplicity and user-friendliness while still moving mExpense forward once again. 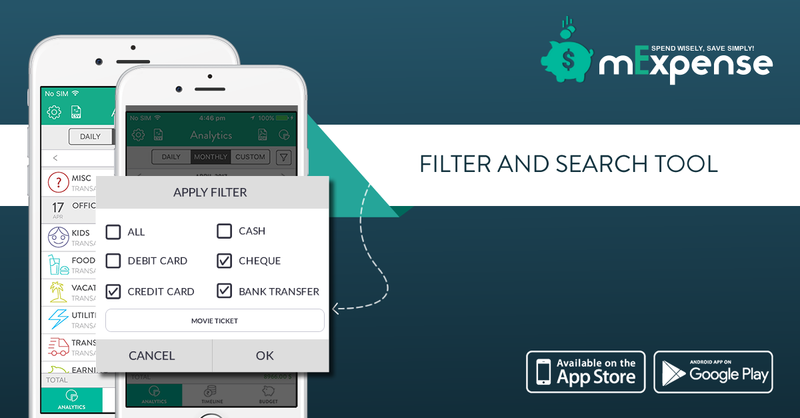 Filter and search tool - We have introduced a new Filter and search tool for better reporting of your expense data. Filters allow you to sort out expenses that are made with different payment types. For example, if you want to check how many credit card transactions you have in a current month, you can just go to the analytic tab, select the current month option from the top, tap on the Filter icon just beside it, select the Credit Card checkbox and tap “search.” This will display all transactions made with your Credit card in the current month. Once you have filtered records on the analytic tab, you can generate a PDF or CSV report of it and download or email yourself for future reference. 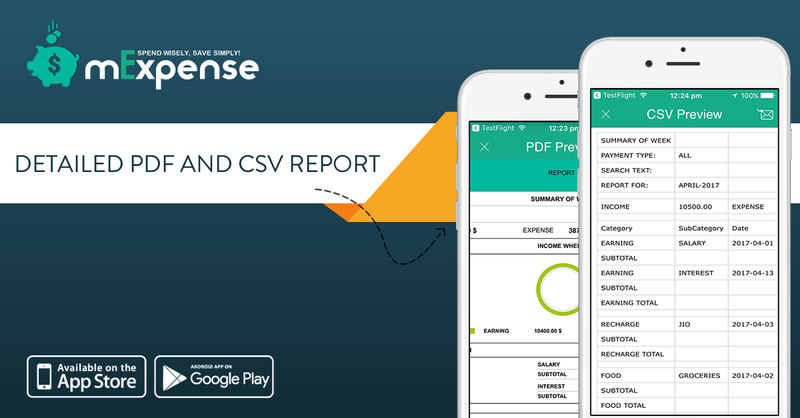 Detail PDF and CSV report - In addition to filter and search based PDF & CSV reports, we have updated the PDF and CSV report to include more detailed analysis of your expenses. Now both reports contain category and subcategory wise total along with Total Income, expense & balance statistics on TOP. This will give you a clear idea of how much you are spending and where you are spending most. Hope you find it useful. Editing of existing pre-filled categories – Before the introduction of these latest updates, pre-filled categories could not be edited. 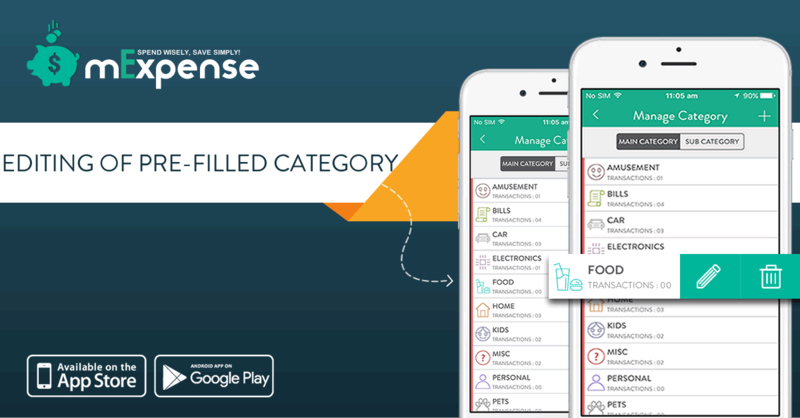 As a result of request we’ve been getting from mExpense users asking us to make the categories editable so that they can better categorise their expense record, we’ve decided to make it possible to edit or delete existing pre-filled categories. However, since good things don’t come cheap, a pro-subscription is required to enable this feature. 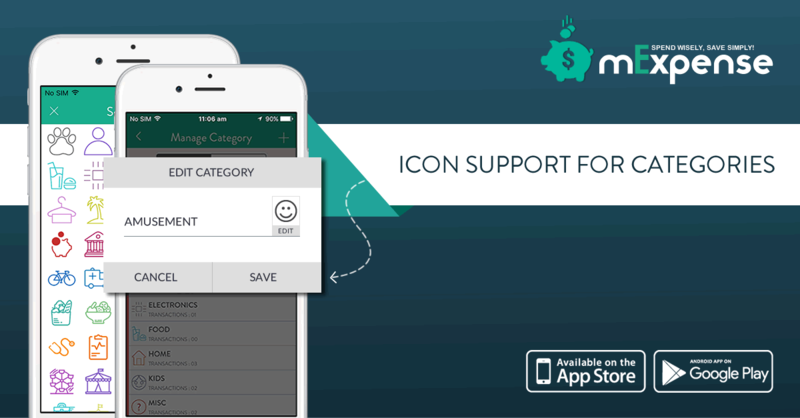 Icon support for custom categories - Many users also requested us to enable icon selection for custom categories they add. As we believe in total user satisfaction, we have now introduced a selection of 75 different icons for you to choose from. You can use them for any existing categories or a new one as per your requirement. If you’ve already been enjoying mExpense on your Android or iOS device, simply update the app from the relevant app store and treat yourself to a smoother, more functional and reliable personal expense tracking experience. ← Is it important to track your expenses?